Official Viwawa Blog: Happy National Day Singapore! It's 9th August tomorrow, and Singapore will be celebrating it's 44th Birthday! 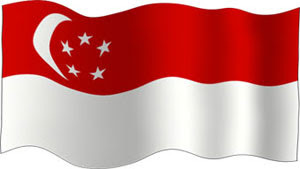 Viwawa would like to take this opportunity to wish Singapore a Happy Birthday, and may it prosper long into the future! Oh.. and we've a long weekend too! YAY! Happie National Day aka long weekend to u guys too!